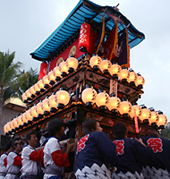 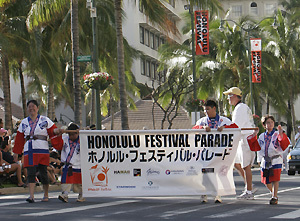 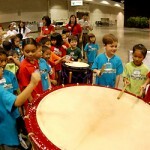 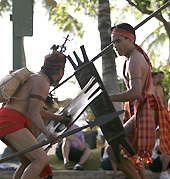 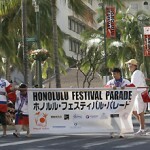 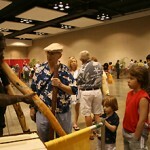 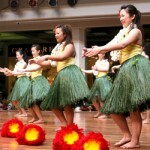 Honolulu Festival concludes with the Grand Parade. 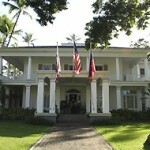 And grand, it is. 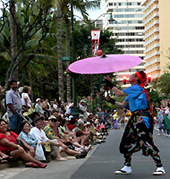 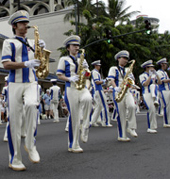 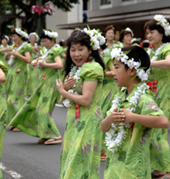 The parade starts at Saratoga Road and continues along Kalakaua Avenue, filling the streets with spectacular cultural performances and floats. 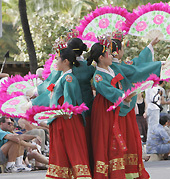 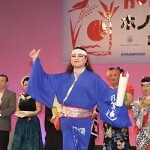 Each year, we invite amazing guests and performers to our parade such as: Miss Hawaii, the Cherry Blossom and Narcissus Queens, school marching bands from Hawaii and mainland US, hula dancers and a variety of dance troupes from the Pacific region.